Just to flag up, in case you haven’t noticed, that a couple of other UK editions are getting in on the free nail polish act. 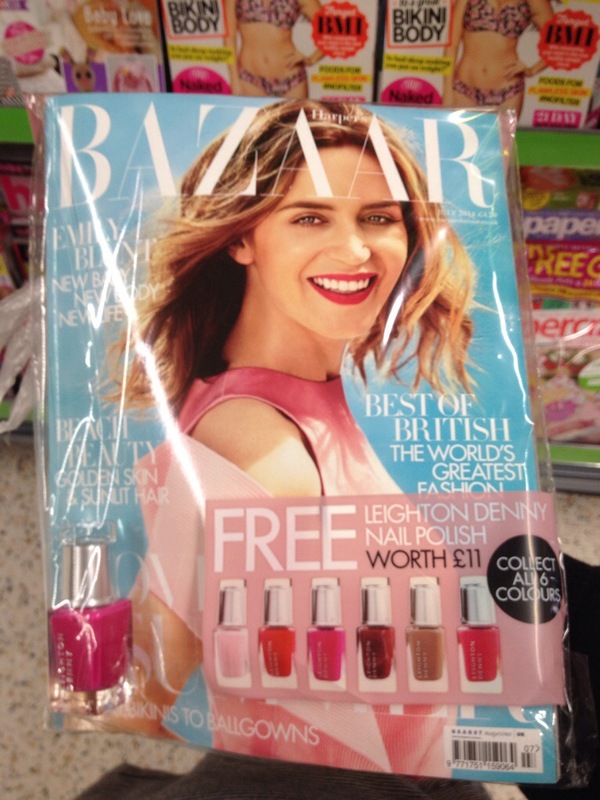 First up Harpers Bazaar with Leighton Denny… And then Marie Claire with Ciate and a caviar mani set. I love trying out new things, especially where my nails are concerned. My lovely sister bought me this Ciate colourfoil mani kit for my birthday. I must admit, I was not convinced at first… but lets look at the pics before we plunge into the details! This is the Wonderland Very Colourfoil Kit. Firstly, you get several items within the kit. You get a Ciate polish (which is one of three different colours depending on which colourfoil way you prefer), a small bottle of glue and a number of square foil sheets. 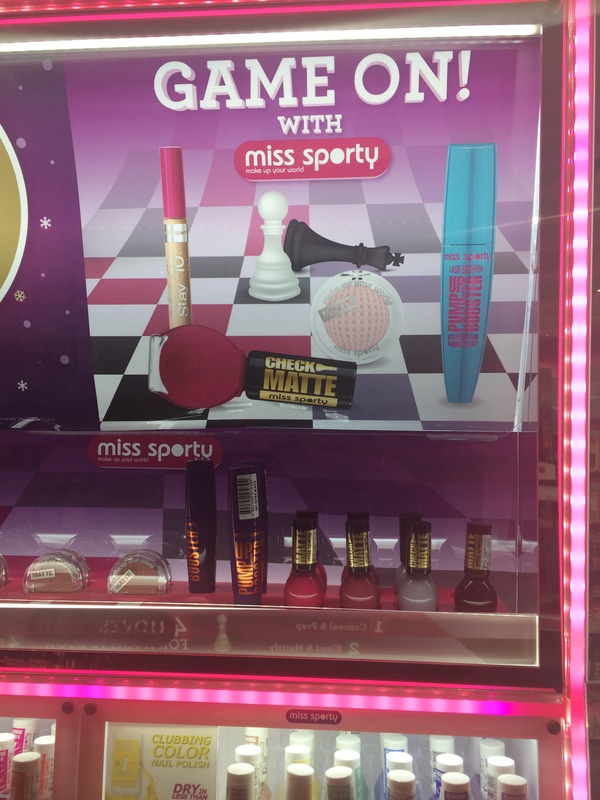 In this kit you get Creme Soda, a dove gray colour polish to use as the base. Although to be honest, you could you anything in your stash. The formula of Creme Soda was a bit disappointing, it was thin, runny and two coats would not have been enough to wear on its on as it was very streaky and patchy. However, I didn’t give it much mind as it works as a great base to make the foil elements pop. The foils in the Wonderland Kit come in two shades of orange, a green, a pink and two silver types. You get several of each type. You wait until your polish is dry, then start by dabbing on the glue where you want the foil to stick. Its best to do no more than two nails as a time because by the time you get across them all, the exposed glue is likely to have dried. When the glue has been on a minute or so, you press the colour foil against the glue, wait a few secs and then peel it off, leaving the foil adhered to the nail. Repeat as often as you like, all over your nails, with as many of the foils as you wish. I went a bit crazy, using all the foils, but the smallish squares will probably last for ages if you look after them as you really use very little for each mani of 10 fingers. It is super easy to do, you might want to do it at a table or away from any strong breezes that might blow the foil sheets about. it takes a little bit of time and if you rush with the glue, then the foil doesn’t tend to come away in the bigger pieces and the glue sticks to the back of the foil making a gluey mess. But WOW, love the effect. Worth every minute to do. I topped off my mani with a thick coat of Seche Vite and this baby wore like iron. Three days later hardly a smidge of tip wear. I’m that impressed I treated my self to another kit in the recent Ciate sale. Ciate Colourfoil Mani kits can be brought directly via the Ciate website or you can pick then up if you happen to live near a Selfridges or certain John Lewis stores, but it worth checking out the stockists on this page here. Retail on the kits if £18.00. So, what do you think? Have you tried any foil manis lately? 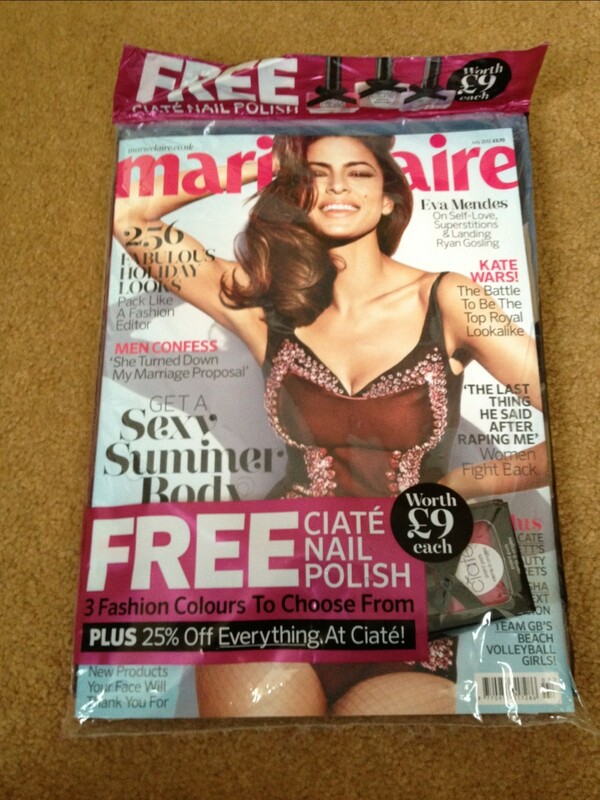 As the last days of my holiday are trickling by, I decided to go all girly pink with my free Ciate nail polish that came with my Marie Claire magazine. 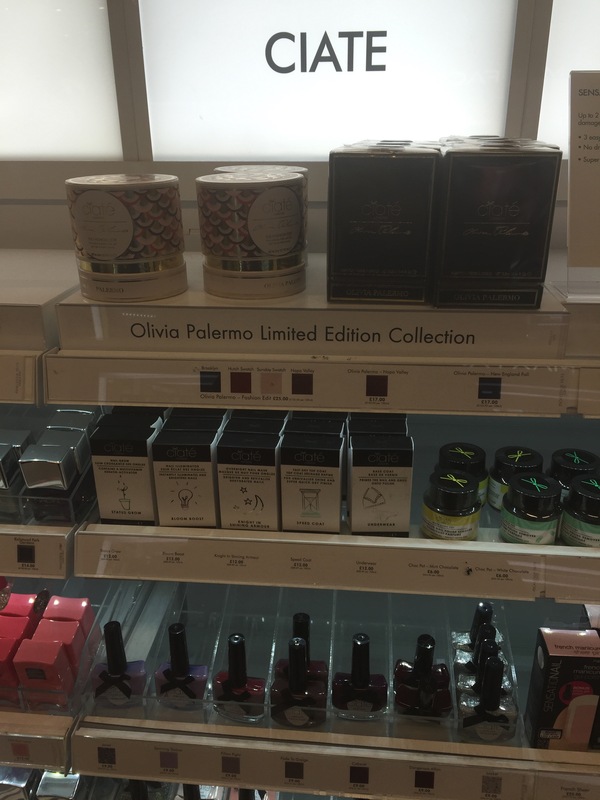 Caite Nail polishes are, in my experience, great quality. They usually retail for £9 so £3.70 for a magazine that you might already buy monthly is great. 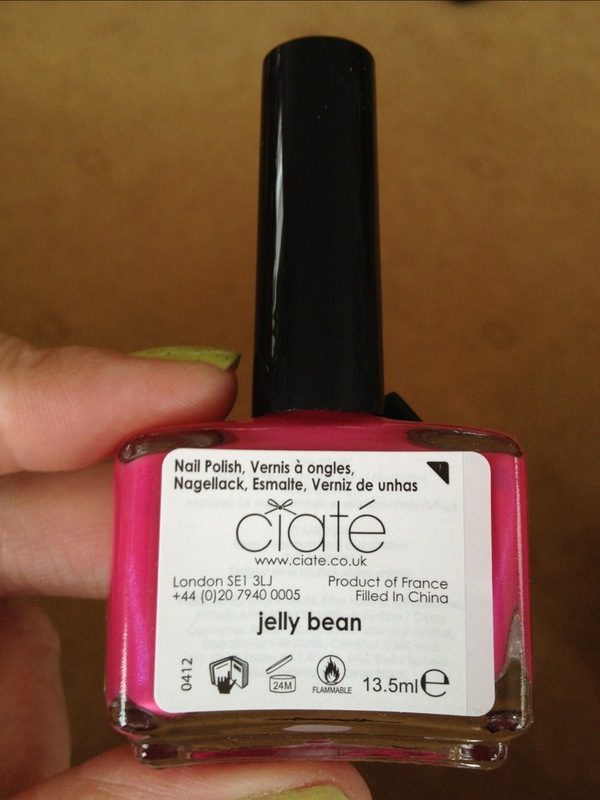 Like the other Ciate Polishes I have tried, Jelly Bean has a great formula. In the bottle you can see a hint of a purple shimmer, which sadly, doesn’t translate at all onto the nail. That is a real shame because it elevates it from a hot pink creme to something with tonnes of interest. Putting that aside the formula is great. First coat might look at bit odd, but keep going and you get good even coverage with three coats. That is what you can see in the images below. Three coats is that I used and is that I would recommend with this polish. There is a *hint* of VNL but its a great colour and worth just buying the magazine for. I don’t have any of the other free Marie Claire polishes, do you? Any pictures to share? 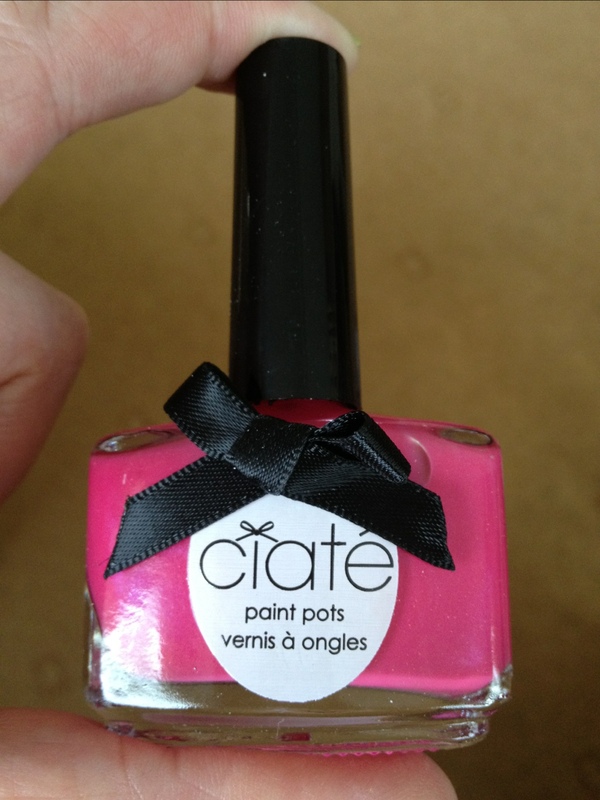 Plus, if you buy anything online from Ciate, you get 25% off any order in June AND July. Now that is worth checking out! 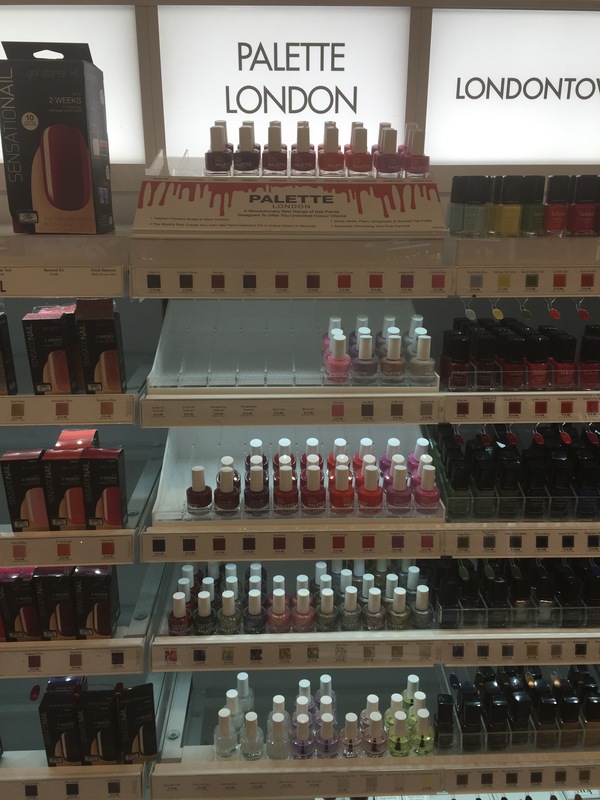 EDIT – I have updated this post to include a link to the Marie Claire website, updated the names of the polishes and included links to other sites that have swatches. 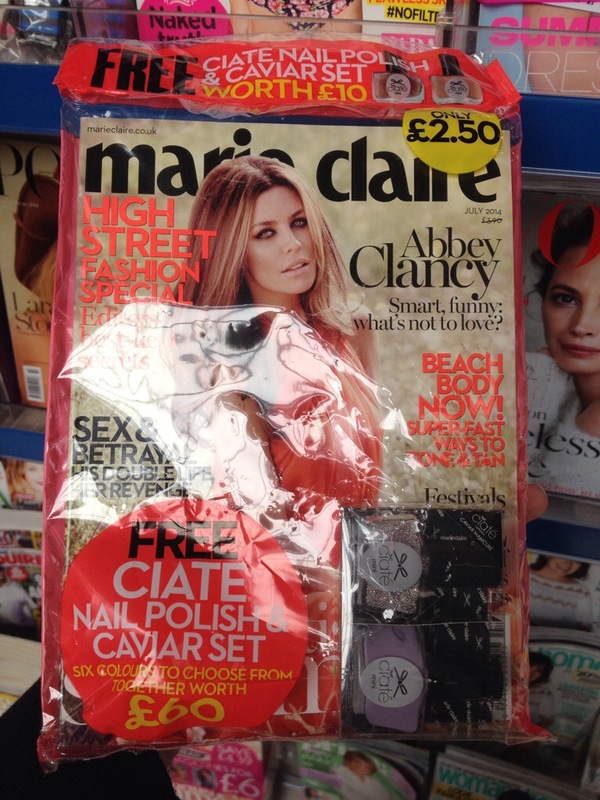 I first came across Ciate when I got a free bottle with a copy of Marie Claire about 18 months ago. I still haven’t used it, but you can get it for a steal on evilBay. I’d been looking at their website for ages, waiting for inspiration to strike and then, up pops Jewel. And I’m sucked in. Really sucked in. Then I ordered, POW they were with me in 2 days flat and this includes the weekend. And then, Adele happened. This is good, I’m so in favour of a small brand getting the recognition it deserves with a quality product. Jewel is amazing. Holographic strips suspended in a pale, sheer purple jelly. On my first coat I was a bit worried, coat two calmed me down a bit and by coat three, well KA-POW! Hello lovely. The way it completely covered the nail is amazing and to be truthful a bit unexpected. But cover it did. And my how she sparkled for me. Even a good dose of top coat left her beauty untouched. I’m rather smitten with this. The formula is quite thick, so its more akin to spreading a good dollop around the nail for even coverage. But the way it build up, I just cannot explain how it works, but it just does. I bought this off the website for £9, its currently out of stock, probably due to all the press coverage over Adele and her nails. If you like glitter, holographics or anything like that, I suggest you get on that waiting list and get one!